Since 1994, Sam has been an accomplished member of the financial services industry. He was promoted to management within two years of entering the industry. He joined New England Financial in 2002 and spent six years as a Managing Associate before being promoted to Assistant Managing Partner. This was quickly followed by a promotion to Managing Partner. In 2014, Sam became the Managing Partner for MetLife Premier Client Group of Upstate New York when they merged with New England Financial. When MPCG was acquired by MassMutual in July of 2016, Sam’s firm rebranded as Financial Partners of Upstate New York where he serves as both President and Managing Partner. Sam is an active member of GAMA, the National Association of Insurance and Financial Advisors (NAIFA), and the Financial Planning Association (FPA). 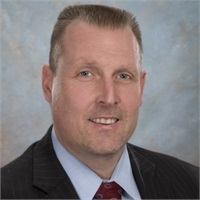 He is a four-time GAMA International Career Development Award Winner, four-time New England Financial Top Recruiter, and four-time New England Leaders Association Qualifier. In 2012, his agency won the Developmental Agency of the Year. In 2012 and 2013, the firm was awarded a Leaders Conference Qualifying Firm. GAMA International awarded his agency with the Master Agency Award, Top 250 in 2014 and in 2018. Sam holds both the Certified Financial Planner (CFP) designation and the Life Underwriter Training Council Fellow (LUTCF) designation. Raised in Boston, MA, Sam is a graduate of Canisius College, where he studied business and played football. He obtained his Master’s Degree in management from The American College. He played semi-professional football for 12 years and he is currently a football coach with Pendleton Athletic Booster Association. Sam lives in Pendleton, NY with his wife Kristine and their three children Jasper, Victoria, and Sammy Lee.